Place this Safavieh Adirondack area rug in your dining room when you need a splash of style. Keep the contemporary look in your home with this indoor piece crafted from plush polypropylene material. This rug is machine-made for convenience and quality combined. You and your guests will enjoy the lovely vintage/distressed pattern that decorates this silver rug. Interior design is easy when you add this high quality Safavieh Adirondack area rug to your home. Keep it classy, quality, and stylish with this indoor rug made from plush polypropylene material. Comfort and quality come first in this machine-made rug. Add this tribal patterned beige tan rug to the dicor of your home for a contemporary infusion. This Safavieh Adirondack area rug adds a touch of modern flair to the design of any area in your home. Complete your home's contemporary design with this indoor rug made of plush polypropylene material. This machine-made rug makes long-term decorating easy. Upgrade the dicor of your modern home with this vintage/distressed patterned blue rug. Adirondack Alexa Silver / Black 6 ft. x 6 ft. Indoor Square Area Rug Place this Safavieh Adirondack area rug in your dining room when you need a splash of style. Keep the contemporary look in your home with this indoor piece crafted from plush polypropylene material. This rug is machine-made for convenience and quality combined. 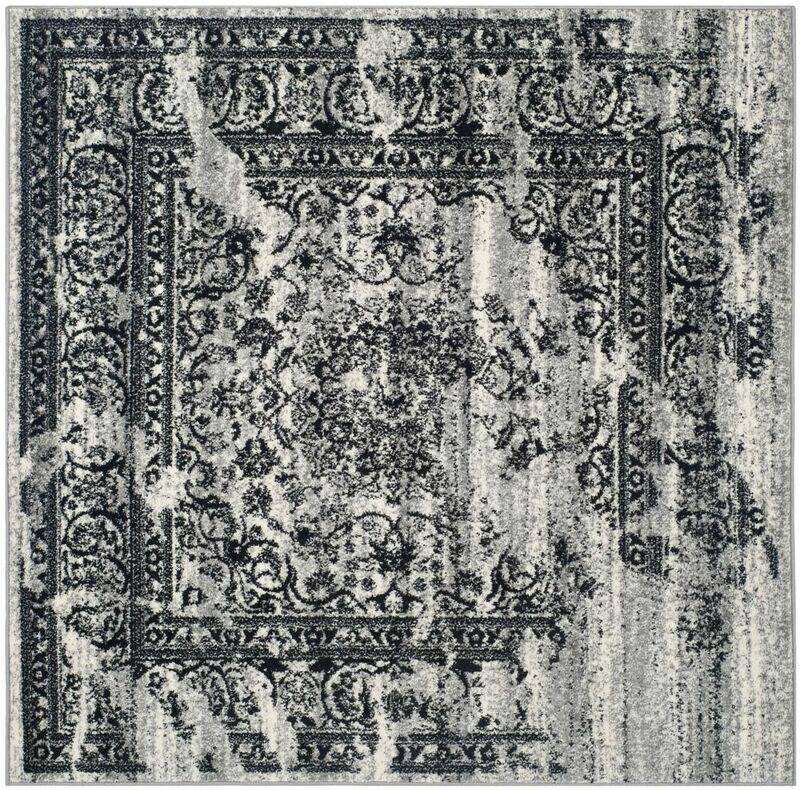 You and your guests will enjoy the lovely vintage/distressed pattern that decorates this silver rug.